Watch our video tutorial or read through the step-by-step instructions below. If you haven’t got our app on your phone, hit the button below. 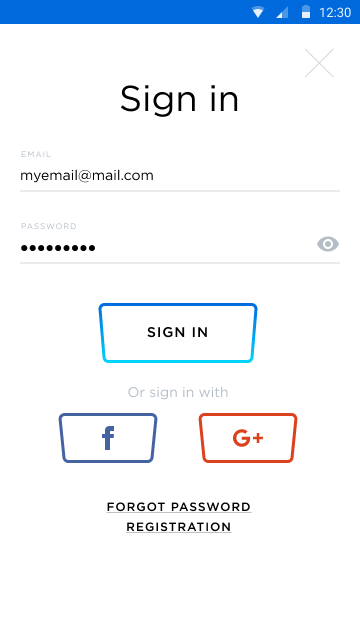 When our app launches for the first time, it will greet you with a welcome screen. Read it to find out about our best offers. Sign up by filling out a short form, or use your Google or Facebook account. 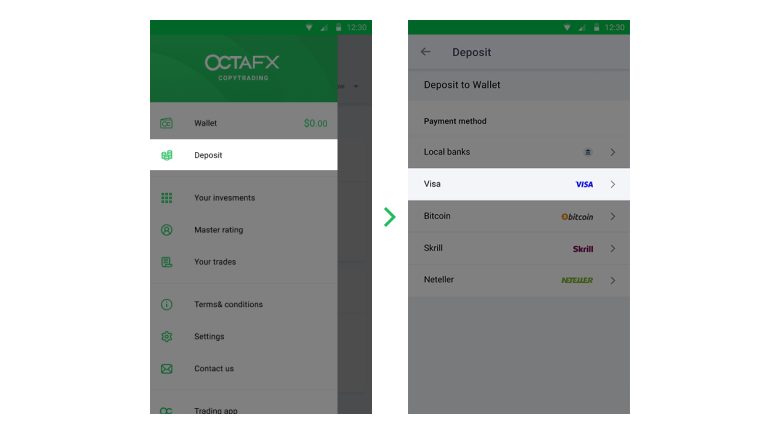 You’ll also be able to use this account for all of OctaFX’s services. 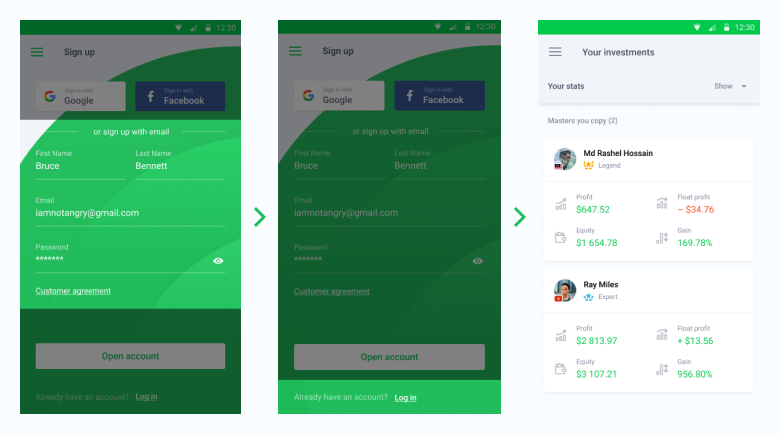 If you already have an OctaFX account, tap Log in below and enter the email and password you use for your OctaFX profile. 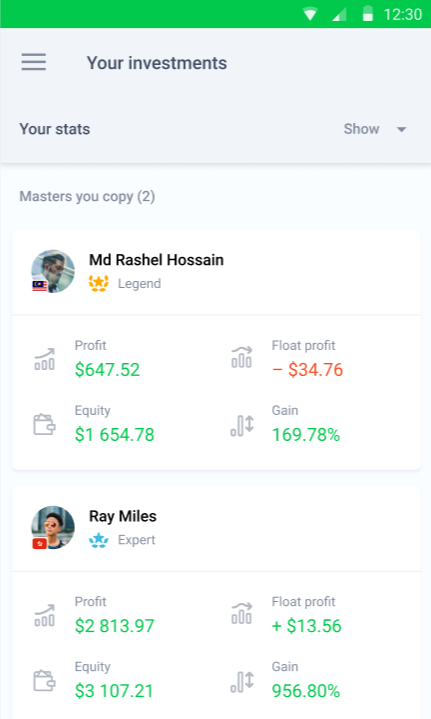 On the start screen, you’ll find a list of Master Traders who you’re currently following. It will be empty if you don’t have investments yet. 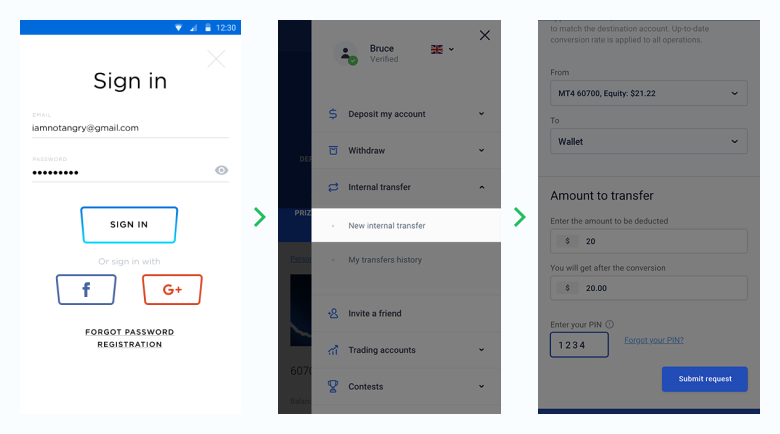 To make an investment with our service, you need to deposit or transfer money from your trading account in OctaFX. Regardless of the method you choose, we don’t charge any commission. 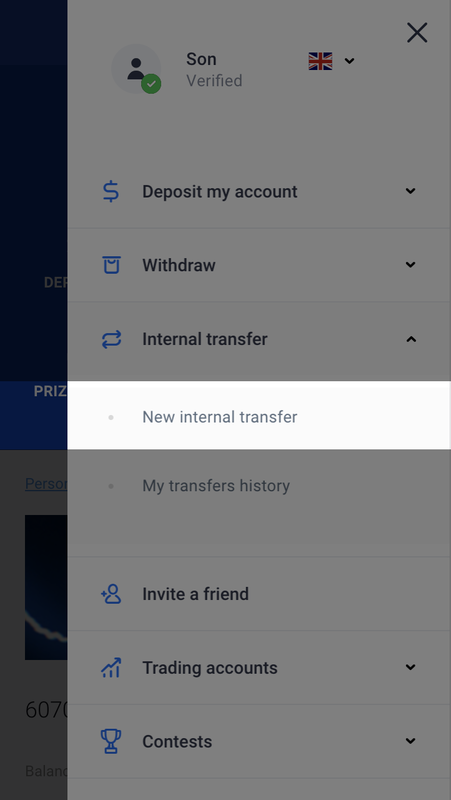 Tap the menu icon at the top of the screen and choose Deposit. 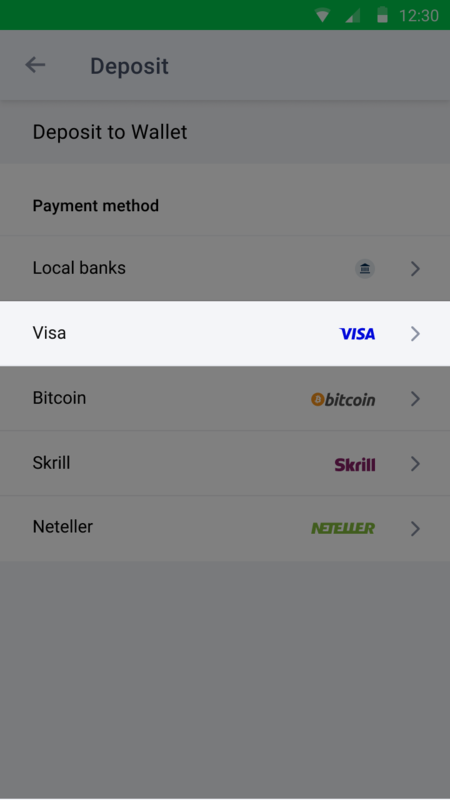 Then select the payment method you prefer and follow our prompts. 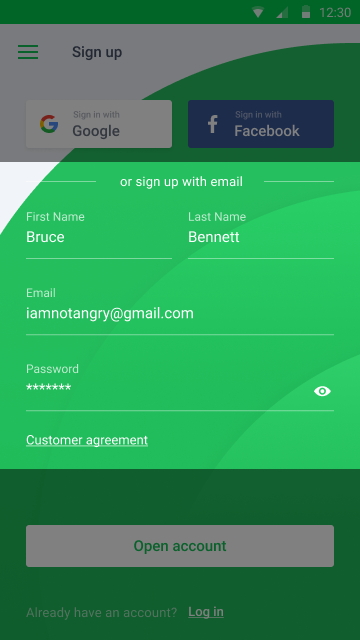 Log in to your Personal Area on the OctaFX site, press Internal Transfer in the right-hand menu, and select New Internal Transfer. 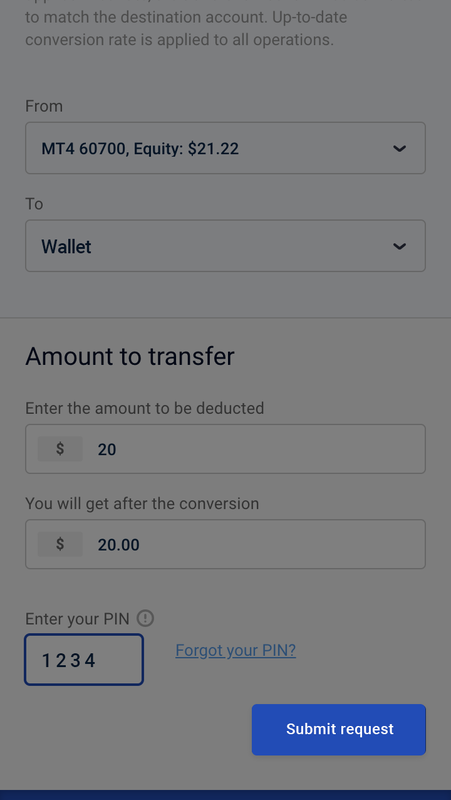 Then choose the account you want to transfer money from, set your Wallet as its destination, enter the amount, and provide your OctaFX PIN. When ready, hit Submit request. 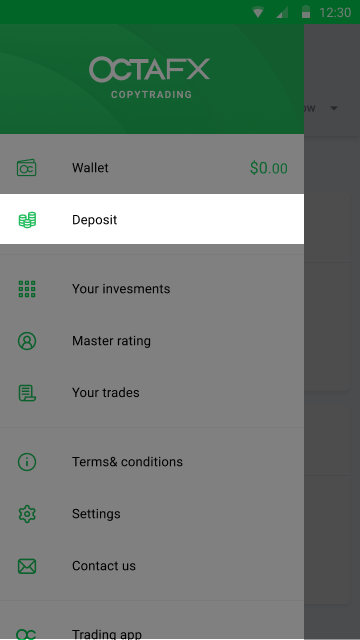 As soon as the transfer is complete, you’re ready to go—return to the OctaFX Copytrading App and go straight to choosing a Master Trader. Tap the menu icon at the top of the screen and view Master Rating to choose whom to invest with. By default, you’ll see Master Traders with the best gain for the last two weeks. 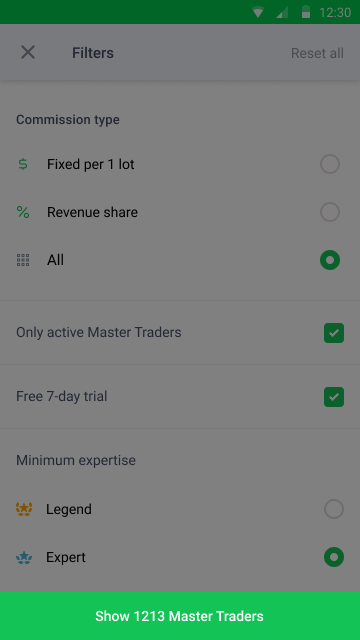 You can tap the settings icon below to apply more filters, and find the Master Traders that fit your needs. 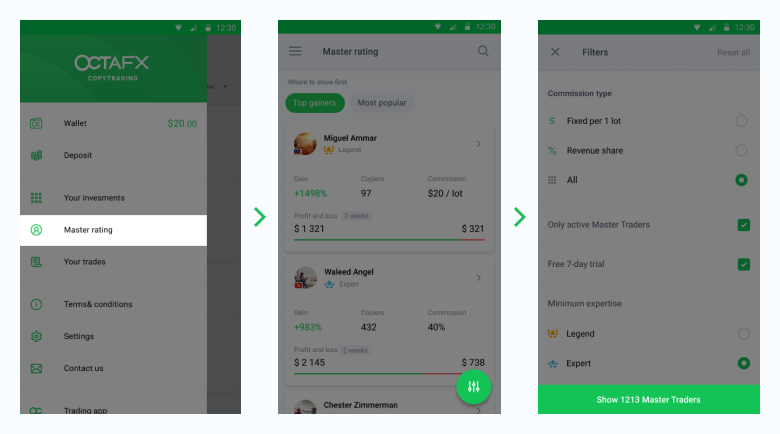 The filters allow you to sort Master Traders by their expertise, commission type they charge, and whether they offer a free trial. 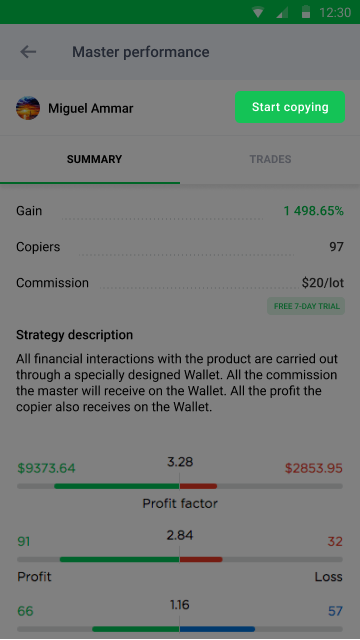 Tap the Master Trader you like to view their detailed statistics. 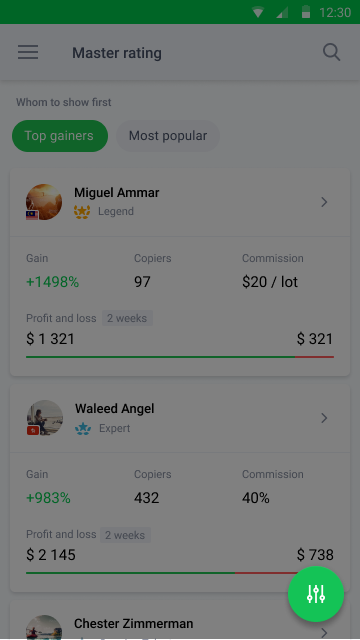 If you’re ready to invest with this Master Trader, tap Start Copying at the top of the screen. 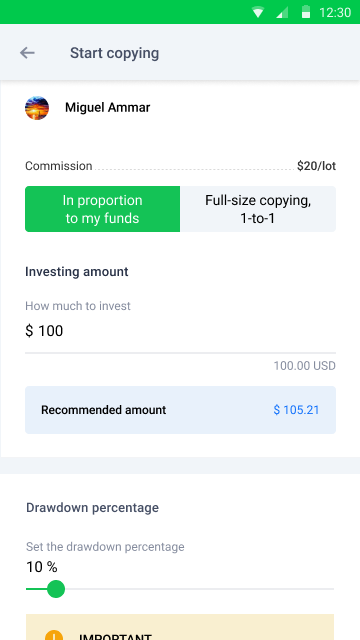 Enter the amount you want to invest with this Master Trader. Make sure your investment amount matches or exceeds the Master Trader’s balance—see the Recommended Amount value. 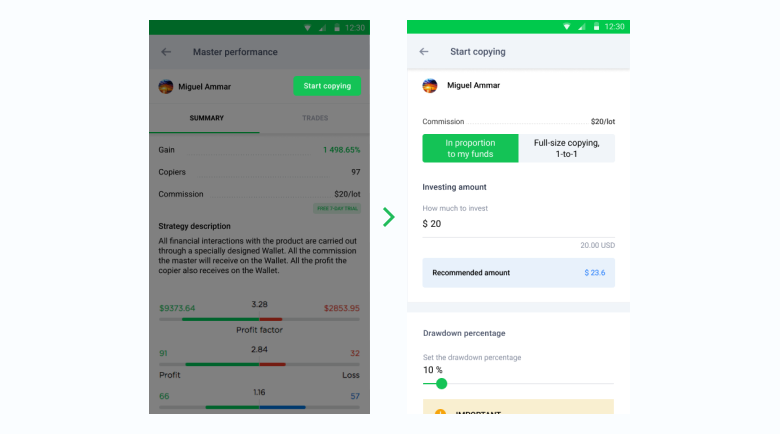 This way you’ll be able to copy the trading strategy in full and won’t miss any profit. Also, don’t forget to set a Balance Keeper percentage. 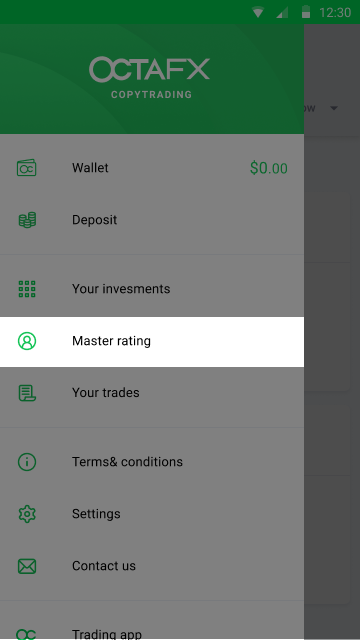 This part of your maximum balance will be protected even if the Master Trader starts to lose money. Please note: you don’t need to place all of your investment with one Master Trader. Diversify your portfolio and parcel the investment between several traders with different strategies to reduce the risk.